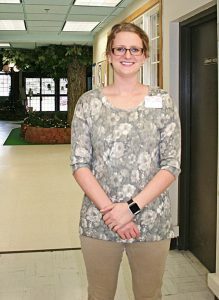 The staff of Renville Health Services in Renville welcomes Casie Knoshal as the new Administrator. Knoshal took over the position at the end of last year, Dec. 28. So far, she said the transition has been great. Knoshal is originally from Granite Falls. In high school she worked as a nursing assistant and found it was something she really enjoyed. Helping the elderly and their families adjust to a new lifestyle was fulfilling. In 2012, Knoshal graduated from the University of Minnesota Duluth with a BA in Business Administration. She then moved back close to home to a farm north of Granite Falls with her husband. Knoshal has worked at the Rice Care Center since that time. In 2016, Knoshal started pursuing a nursing home administrative license. This would open up more options for her career and allow her to maintain her administrative role. Just as Knoshal was thinking about a change a colleague informed her of the opening here in Renville. She applied, got the position and has found it to be a great fit – and a shorter commute. Knoshal means this both personally and professionally. 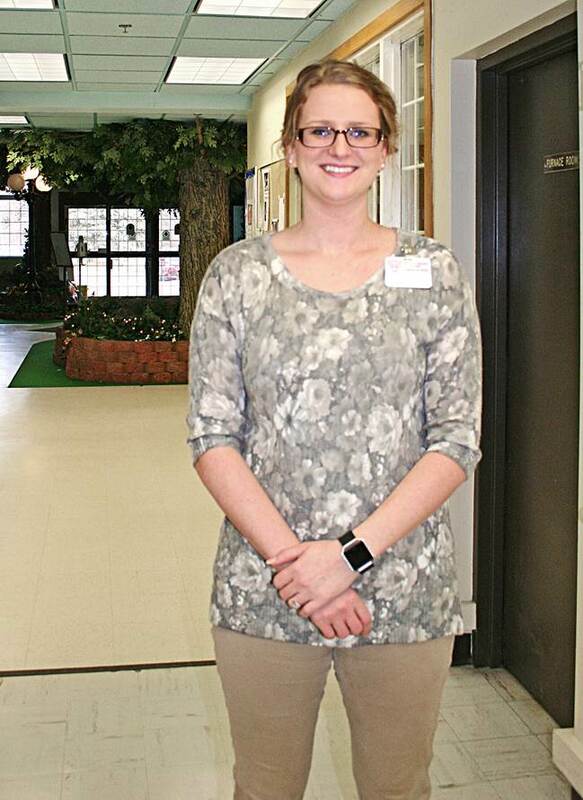 She is excited to integrate Renville Health Services with the community as much as possible. When people move into assisted living they often leave behind community events and gatherings they once attended. Knoshal looks to invite these services in so residents can have the same experiences they are used to. “It’s about maintaining connections and meeting the needs of those who come here,” she explained. Along with day to day management and supervision, Knoshal also deals with ever-changing regulations. Keeping everything up to date and in compliance is a constant shuffle. Knoshal looks forward to providing skilled, resident centered care for the residents of Renville Health Services into the future. She hopes to continue the positive community relationships and build upon the foundation for greater success.